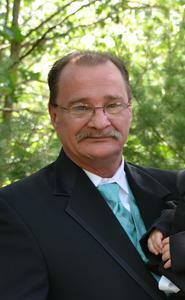 Terrance Lee Murphy, age 56 passed away at his home in the early morning hours of January 10,2018. He was born in Wayne County, Michigan on February 2, 1961 to Dewey and Marie (Nuytten) Murphy. Terry enjoyed spending time with his family and friends. Terrance did not have many things in life, but he did have a tremendous amount of love for his two children and three grandchildren. He also enjoyed making memories hunting and fishing. Terry was married to the love of his life for 19 years. Terrance is survived by his ex-wife Melody Murphy (Hudson), his son Terrance Murphy (Kaitlin Eastling), and Daughter Candice (Travis) Kops; 3 grandchildren Bentley, Hadley and Harper Kops; 1 brother Gerald Murphy, Sister-in-Law Arvella Mitcheltree, Sister-in-law Brenda Mitcheltree, and Sister-in-law Sue Bennett; along with many nieces and nephews. He was proceeded in death by his parents, 5 brothers; Richard Bennett, Theodore, Donald, Thomas, and Robert Mitcheltree, 1 sister Joann Newman; Sister-in-law Mary Mitcheltree, and brother-in-law Larry Newman. Celebration of life will be held on January 20th, 2018 at Jericho Road Church. Time will be 2 PM. Address:2808 S Mill Iron Rd, Muskegon MI 49444. In lieu of Flowers, please consider a donation for family funeral expenses.